The IDT LS-4 product acts as a cleaner and clarity to fingerprint ridges, permitting you to obtain readable prints from the subjects with poor ridge structure, or subjects who work with their hands, such as brick layers, construction workers or farm workers, or even the elderly that have lost their definition within their fingerprint ridges. This product helps clean and increase the number of successful latent print searches and subsequent comparisons by ensuring better initial fingerprint recordings. ​Our LS Ridge Builder is supplied in a convenient pump spray bottle. 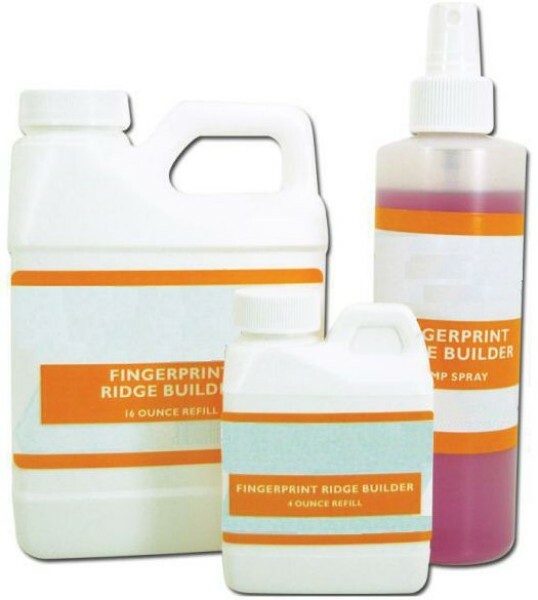 Simply spray the subject's fingertips with our fast drying, antimicrobial protection ridge builder, then follow your normal fingerprinting procedures.